Have a question about Warrior Dash? Ask away here! Must be 10 the day of the race to run the course. 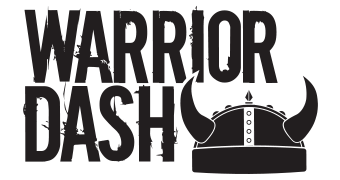 Warrior Dash registrations are non-refundable. All transfers must be completed the Friday before your race at 12 PM CST. Instructions on how to transfer can be found HERE. Dogs are allowed at Warrior Dash events where parking is onsite (locations where no shuttles are required). You can find the participant waiver HERE. Be sure to follow us on Facebook, Twitter, and Instagram for up-to-date information. You must have a photo ID to pick up your race packet. Participants without a photo ID may bring a copy of their birth certificate for age verification. Resend your confirmation email HERE. Spectators are allowed at Warrior Dash for free. Spectators are not allowed on the course. Warrior Dash is a rain or shine event. Do I still get a finisher medal? Can I qualify by running different race distances at the same location? Can I qualify by running the same race distance twice at one location? Can I qualify by running the same race distance at two different location? Do all race distances count towards qualifying for Epic Warrior? I already paid for one registration, but I’d like to add another distance at the same location. Do I have to pay the registration fees twice? Can I change my course distance? There's no Warrior Dash listed for my state, are you coming to my area? ★ Can you resend my confirmation email? ★ What are Warrior Dash’s transfer policies? How do I transfer my registration to a new participant? Where do I insert my promo code? I am experiencing an issue with my email address. Why can't I use this address to register? I did not receive a confirmation email after registering. How do I know if I am signed up or not? ★ What are Warrior Dash's Transfer Policies? The transfer deadline has passed. Can I still transfer to someone onsite at the event? Can I transfer to another event? How about one next year? How do I change out/ transfer members of my group? ★ What does the competitive wave entail? How do I add a participant to my team? When can I expect my pre-event email? I can't find my photo; why aren't there more photos of me? What is the prize for the Biggest Team Award? How will the winning Biggest Team be notified? When will the winning Biggest Team be notified? Is there a deadline for qualifying for the Biggest Team Award? How many people do you need on your team to qualify for the Biggest Team Award? What if I’ve already registered and forgot to include my team name? I purchased my registration through Groupon. Now what? Does Warrior Dash make charitable donations? I'd like to volunteer at Warrior Dash. I'd like to be a vendor at Warrior Dash. I'd like to host a Warrior Dash at my venue. I'd like to be a sponsor at Warrior Dash. I'd like more information on media coverage for your event. My organization volunteered at a Warrior Dash but we have not received our monetary donation? How do I contact the volunteer team? Where can I pick up my post-run bundle during registration?